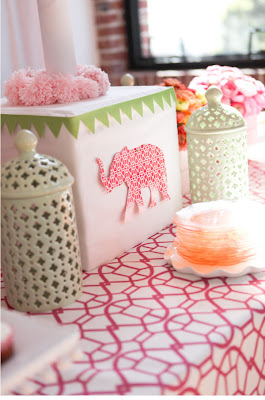 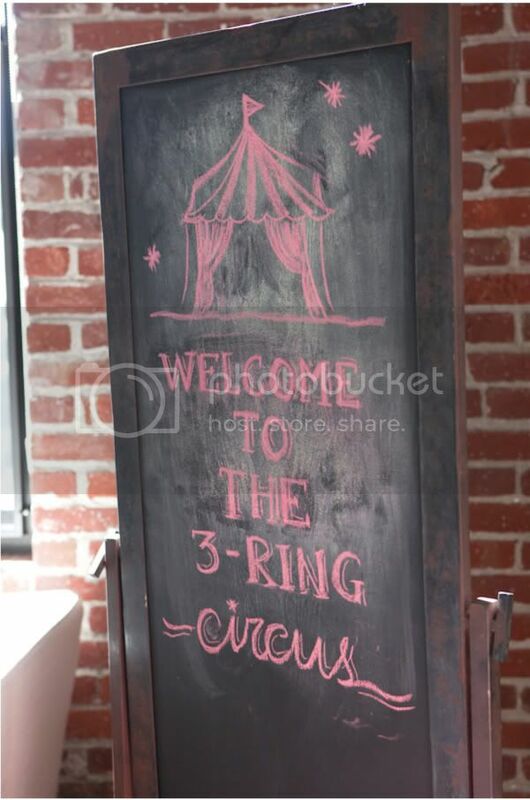 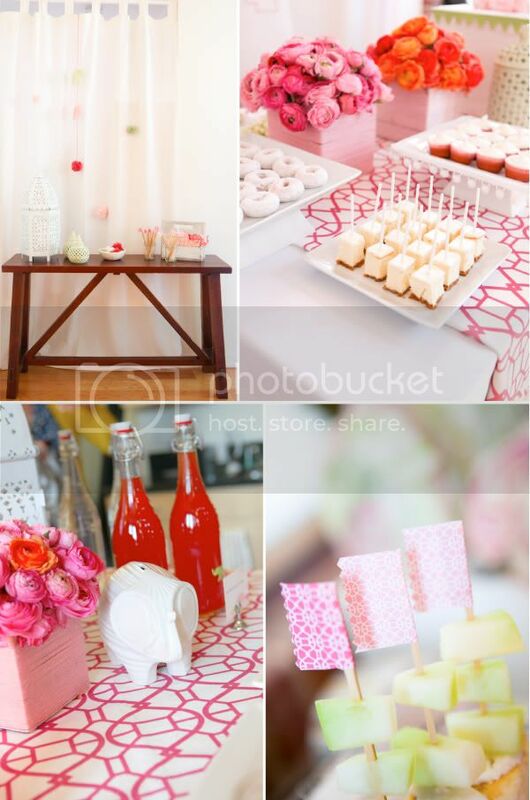 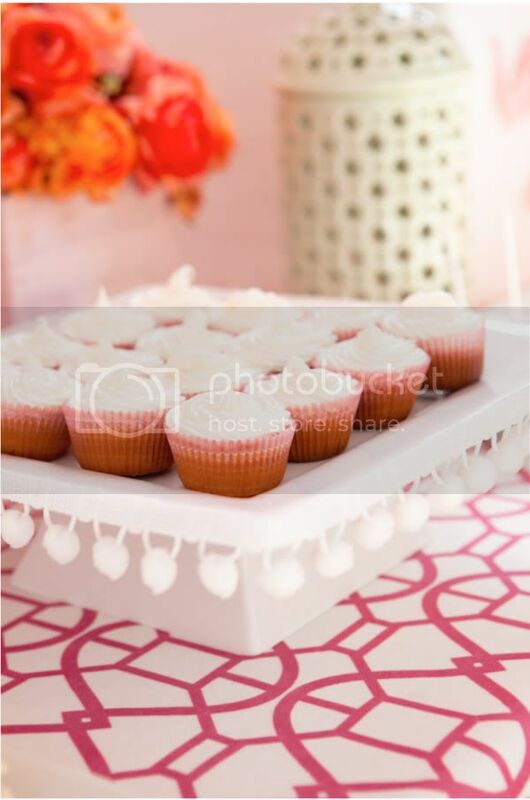 i love the circus awning over the dessert table, the drinking glasses and the little elephant cut outs everywhere! 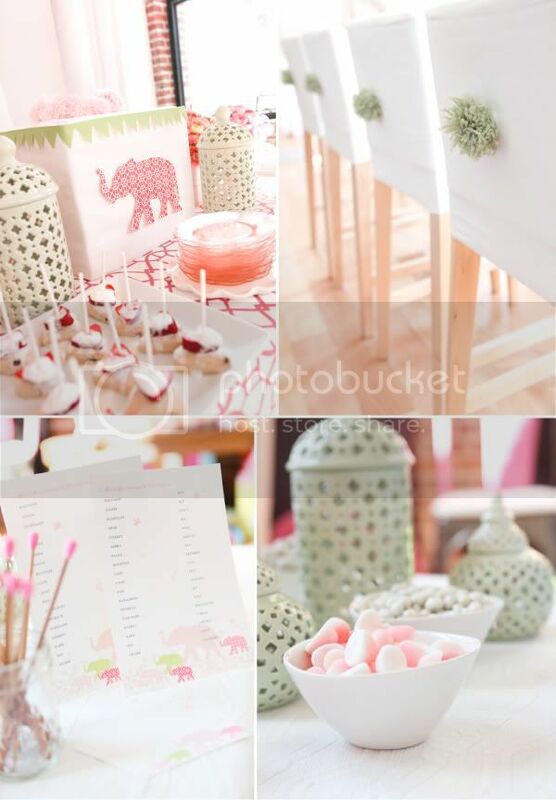 Wow that is awesome! Love the colors! 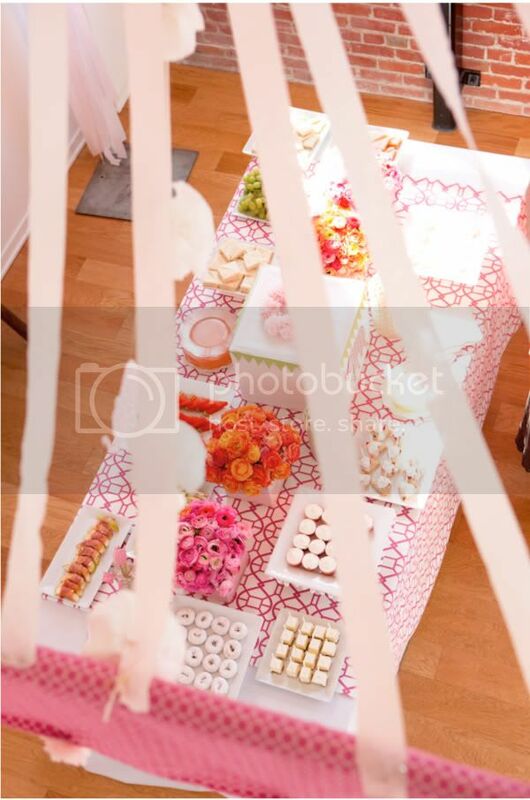 Omg, I love the tent over the table! The furushiki wrapped gifts are so adorable with their pretty print design of circles! 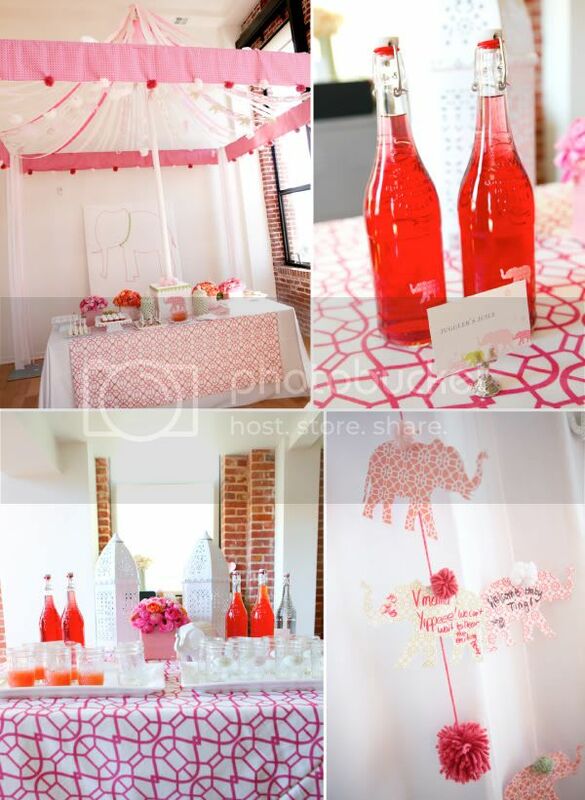 Great idea for using pink elephants, too.